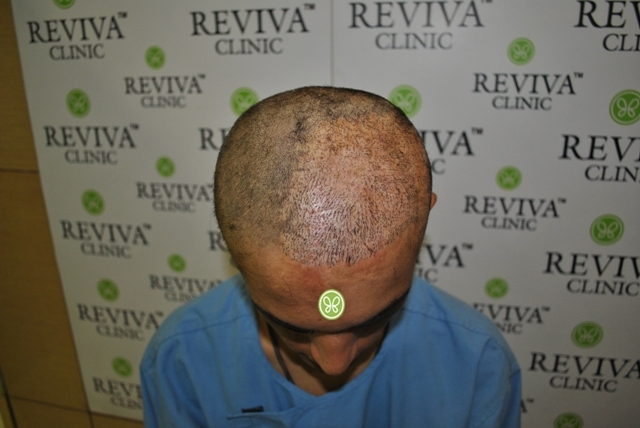 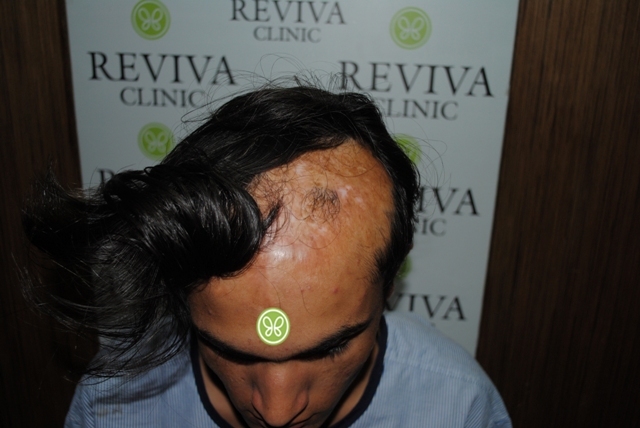 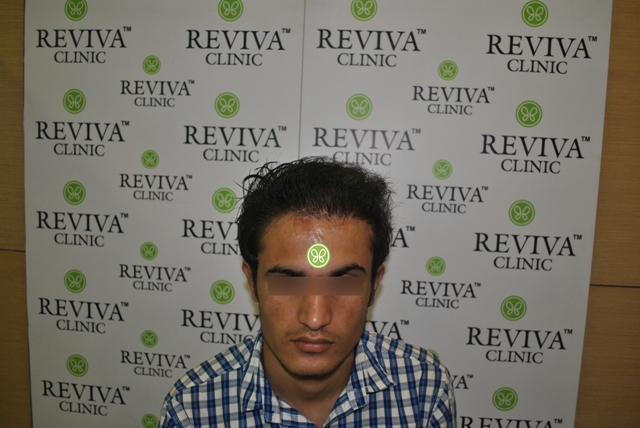 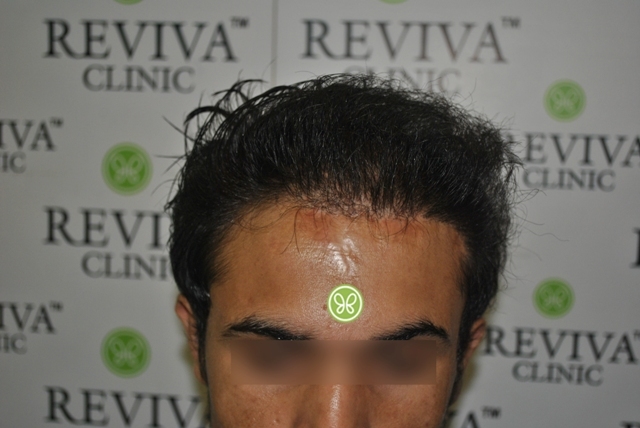 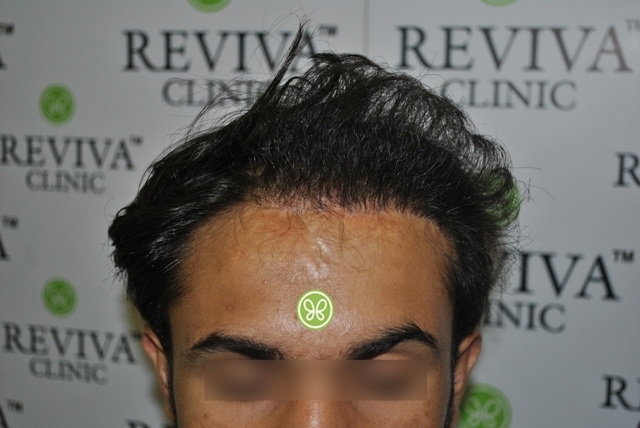 BURN CASE- A 27 year old Male Patient lost hairs on left side of his scalp due to thermal burn and underwent hairtransplant surgeries at Reviva Clinic to restore his hair. 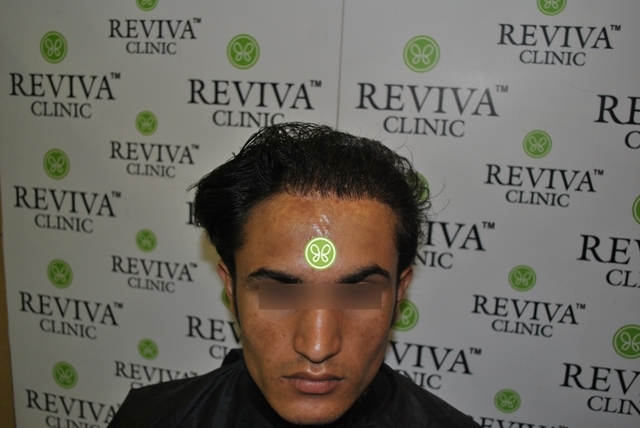 In Second Session, approx. 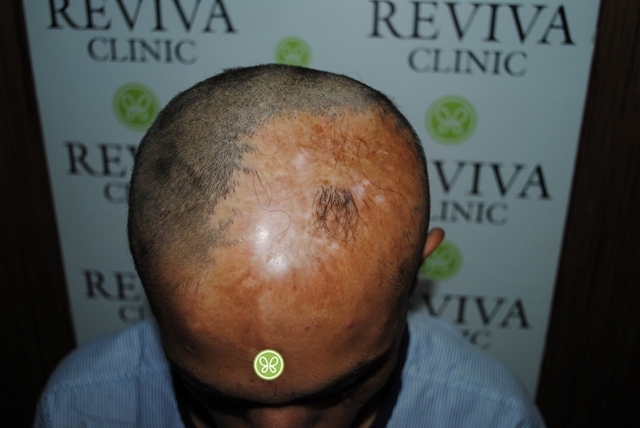 790 grafts were implanted for touch up.